MS, those PID numbers look Very Reasonable! The Videos show it holds Pretty Close, too. 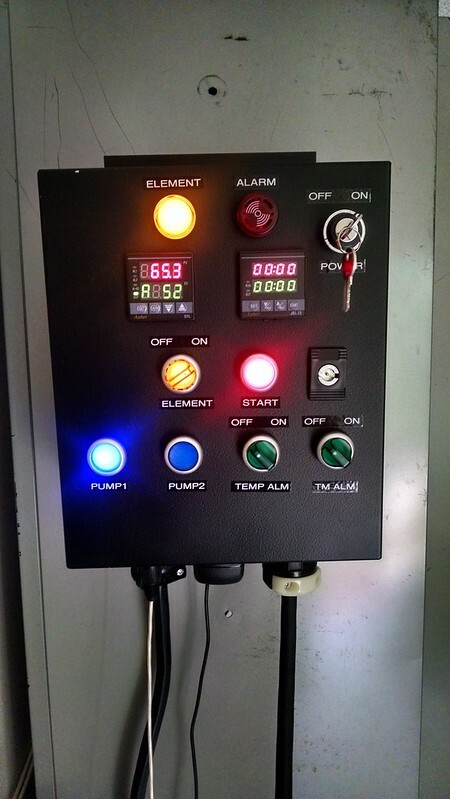 One Silly Question...Are you Using the PID to get to Mash Temperatures, or Hold the Mash temperature after Mash-in??? 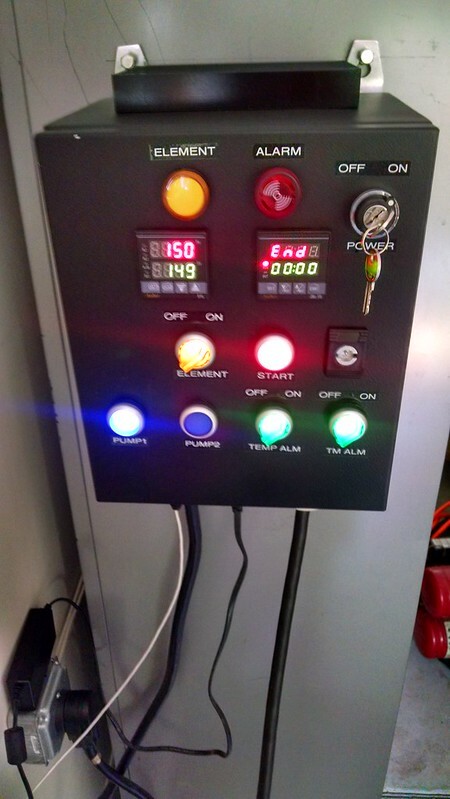 The reason is using a PID to get to any temperature is VERY different than Holding a temperature. 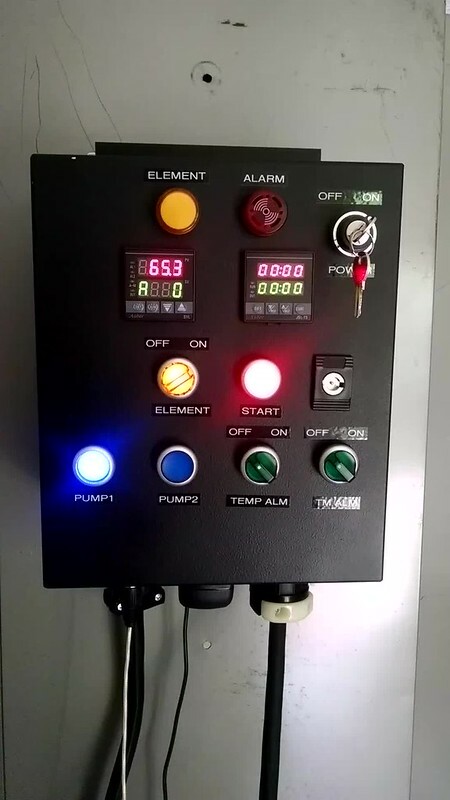 I have found using a PID is easier, when you Manually get to Strike Water temperature, and Mash-in, then go to PID for the entire mash time. Thanks Joshua, I will have to try that. 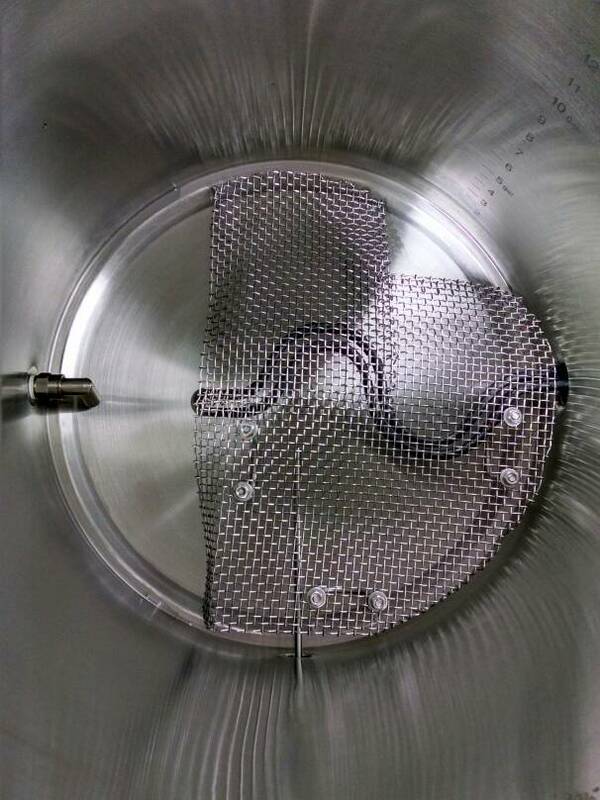 I did a water only test today with my new pump and stainless steel mesh screen today. I re-located the RTD sensor on a pipe tee at the output of the pump, this worked out very well. I used the Auber SYL-2352 PID values of P 350, I 40 and D 2, also worked okay. Tomorrow I will repeat the water test and try out the auto-tune feature to see if the temperature stays any closer to the set value, which ever set of numbers work out the best, I will proceed on to a test full volume BIAB mash to find out if the temperature remains constant, with grain, while running in PID mode. 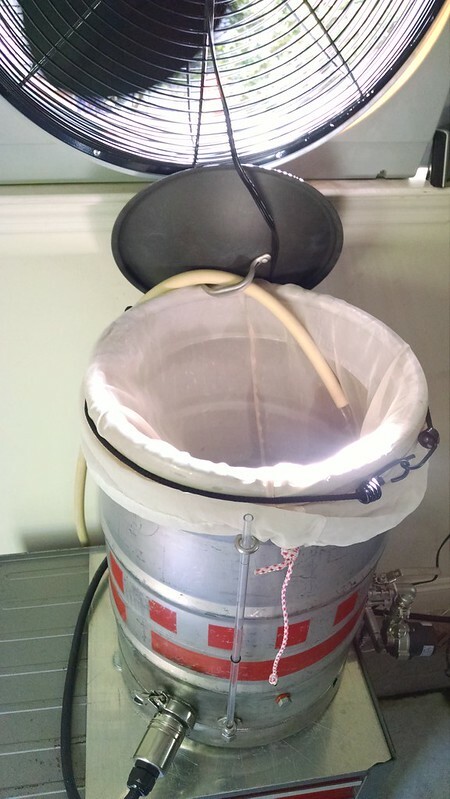 Then on Sunday I plan to brew my first [electric] batch of beer. I placed my lab thermometer down in the water, the reading matched the PV setting of 150 (red number, while the SV (green number) was set at 149. I had to set it 1 degree lower to match the lab thermometer. Off to buy a battery for my digital CDN thermometer for tomorrows 2nd water test. Sunday's brew day is in memory of my Dad's birthday. Water flow on lowest setting. Last edited by Mad_Scientist on 11 Jul 2015, 08:09, edited 5 times in total. 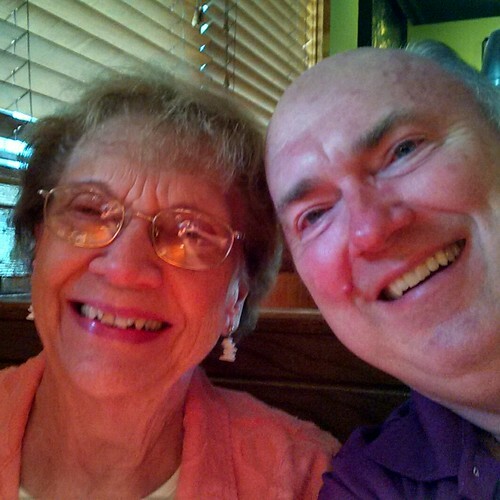 Remembering my Dad's birthday today with a brew day and a dinner at the Outback restaurant with Mom. Last edited by Mad_Scientist on 13 Jul 2015, 10:03, edited 2 times in total. I had some pump issues. Mike at US Solar Pumps worked with me and in the end I got the pump exchanged for another one. I bought the 12v 2amp power supply from him too. Yesterday the new pump arrived. I attached it to my rig and wired it up. I ran auto tune twice yesterday, one with the lowest pump speed, #1, with the lid on (mostly covered - still have the hose running straight in), and the 2nd auto tune on pump speed #2 with the lid off. I didn't like either of the settings so in the end I reverted back to the default settings Auber Instruments gave me which are P=350, I=40, d=2 and t=2. I increased P=400 in the end and lowered my SV by 0.2C to maintain my 65.3C desired temp. This PID doesn't display fahrenheit decimal points out to tenths, so I am now using celsius. Last edited by Mad_Scientist on 12 Jan 2017, 05:35, edited 5 times in total. great panel...those flashy lights should serve you well. I think I have a strong case to buy a bigger kettle, what do you think? My keggle is fine for making a single batch, and when I have a recipe I want to double, just switch my gear over to the bigger kettle. I had a play with my latest file, increased my keggle height in Section B. The minimum size for this recipe is 70 L / 18.5 G. Next closest size up is a 20 G. I define a double batch as 2 corny keg fermentors each filled to 18.5 L.
I would like input on this idea, also, if a larger kettle, which one would you buy? Last edited by Mad_Scientist on 22 Mar 2016, 01:55, edited 1 time in total. MS, if your Looking for 39L/10 Gal into the Fermenters(double 10L/5.1 Gallon) your may need an 80L/22 Gallon/88Qt. Which is a weird size in America. With a Basket to help move about 16Kg/35# grain bag. 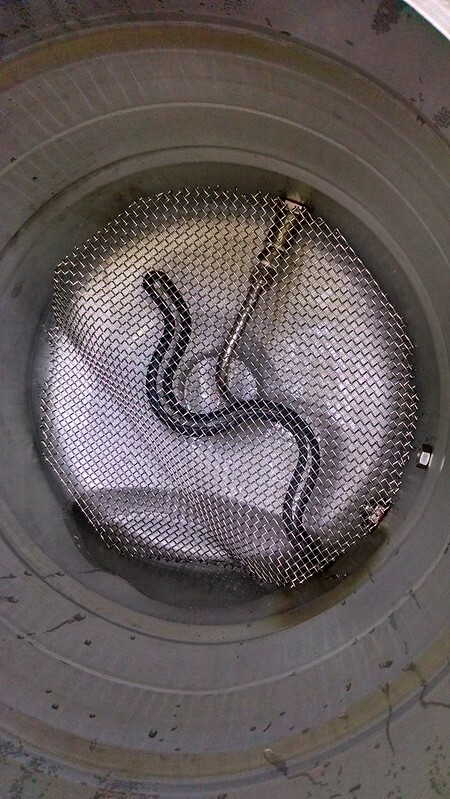 For a double batch of 18.5 - 19L (5 gal) into packaging, a 70L (18.5 US gal) kettle will do you fine for most cases. 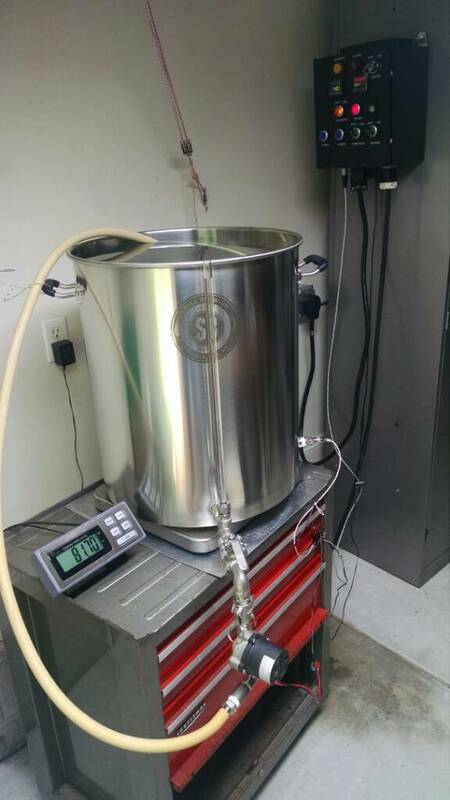 I have two 70 L kettles and will often brew beers of 1.055 OG or less. This requires a bit of pre-boil dilution but this pre-boil dilution costs very little in extra grain- you'll see that in the BIABacus. I no-chill the first half of the batch and chill the last half. For me, the problem of going over 70 L is that the next step up is often 100L (26.5 gal) and, if you buy a kettle with a decent thickness base (which you should), it gets significantly harder to physically manage; you feel and notice the extra dimension and weight especially when cleaning. The other thing you'll need to consider with the larger kettle is the heat source. I'm not familiar with this thread so am not sure what you have at your disposal. 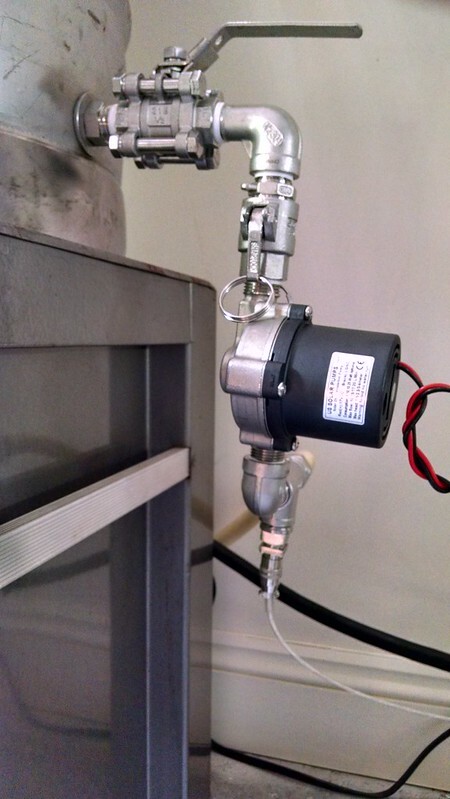 If you are going to rely on your existing heat source, can it handle a 60L boil? Above you say "when I have a recipe I want to double, just switch my gear over to the bigger kettle." I would strongly consider getting a second bit of equipment exactly like you currently have. This means you can double batch, do two single different batches simultaneously, and, side by side experiments. Not many people can claim that ability. I think, in many cases, it would be wiser to go for "two 'single batch'systems" rather than buy one 'double batch' system. Obviously, everyone comes from different needs and angles on this so you'll be the only one that can find the right answer. All we can do is try and spot some advantages or disadvantages where we see them. I love your set up MS! Once my house is built(September) and my brew shed is complete I plan on going electric. You seem to be my mentor at this point. I am still perfecting pressurized fermentations and will be ebrewing. Keep the updates coming! They are the things I dream of! Last edited by Mad_Scientist on 11 Jul 2016, 04:00, edited 1 time in total. New Spike - 82. 4L capacity. Last edited by Mad_Scientist on 27 Apr 2017, 06:40, edited 8 times in total. What controler did you get? Pre-built or kit? How is the ebrewing going? I bought mine pre-built. They have it in kit form, seems that it is about $100 USD cheaper now. I think I have the reverse problem than you, it's bloody hot and humid in Florida during the summers. I really like the scale beneath the pot to keep an eye on volumes. That's fantastic. Getting ready to break in the new kettle soon, maybe Friday after turkey day. 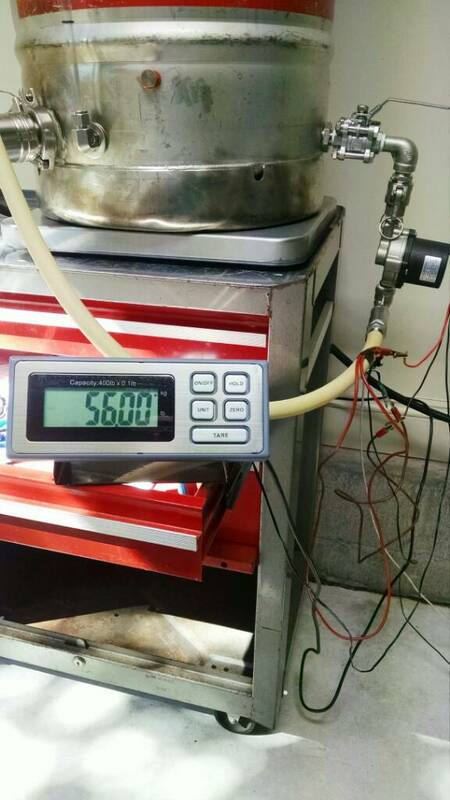 45.0cm kettle diameter x 50.4 kettle height, kettle has a stepped bottom design with a 5mm thick bottom, kettle shape volume adjustment is 2.5L and 1.2cm shape height adjustment. Last edited by Mad_Scientist on 25 May 2017, 06:25, edited 6 times in total. Get with the program Todd ! Happy Birthday. This was the kettles maiden brew, my first pure BIAB (Full Volume Mash) double batch. Go big or go home. Last edited by Mad_Scientist on 12 Jan 2017, 05:16, edited 1 time in total. Lumpy5oh wrote: That looks beautiful MS. How did the brewday go? Last edited by Mad_Scientist on 12 Jan 2017, 05:23, edited 1 time in total.